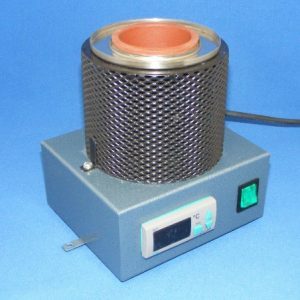 HandiPots are our small, circular solder pot range. The D suffix of the HP100D, HP200D and the HP 350D models denotes digital temperature control for greater accuracy. These pots will reach a maximum of 450°C. The HP65 entry level model reaches an uncontrolled temperature of circa 330-350°C. Typical uses include tinning the ends of wire leads, pre-tinning electrical parts, re-tinning soldering iron tips and dip soldering printed circuit boards.